A new touring production of this Noel Coward classic play by Theatre Royal Bath has a star-studded cast, but is that enough to keep the laughs flowing? Noel Coward once described his comedy Present Laughter as "a series of semi-autobiographical pyrotechnics" and even starred in the lead role of self-centred actor Garry Essendine himself in the original run in 1942. With that in mind, there's pressure on leading man Samuel West to live up to that standard but with actors Timothy West and Prunella Scales as parents, he comes from good acting family stock. I caught the play at the end of its brief tour at Malvern Festival Theatre in the West Midlands. The play revolves around several days in Essendine's household as the actor copes with the amorous attentions of several women and a man who are in love with him to the annoyance of his long-suffering secretary Monica and his estranged wife Liz. A grand set recreates the lavish, decadent townhouse of the actor in fashionable Sloane London with cocktail glasses at the ready and a cigarette box that all the characters all help themselves to like chain smokers, but this is supposed to be the 1930s. You can almost see Coward in the role as this fine version from director Stephen Unwin, who founded English Touring Theatre, has stayed very true to the original with some impeccable casting decisions. 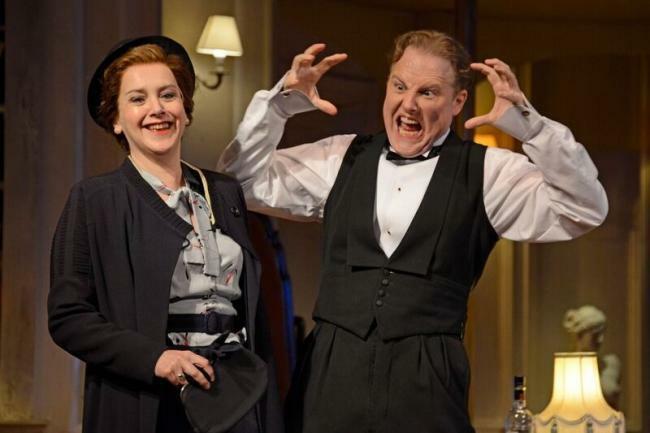 Samuel West (Mr Selfridge, Howards End) is excellent as Garry, making easy work of the wordy Coward dialogue and really hamming it up when necessary to get the most out of this farce. He makes Garry wonderfully likeable despite being spoiled, sulky and self-obsessed. 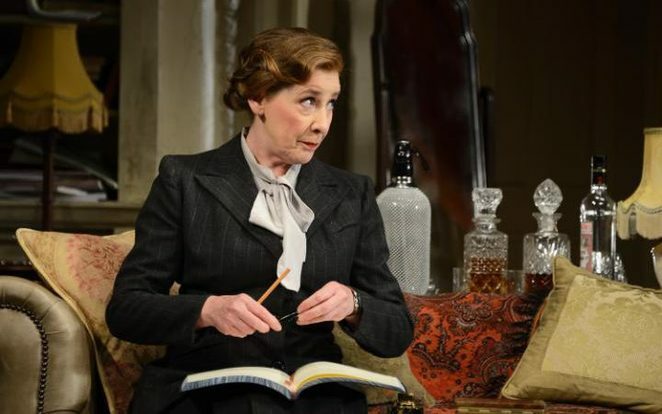 A strong cast includes Phyllis Logan (Mrs Hughes in Downton Abbey) as Garry's sharp-witted secretary, who has many of the funniest lines, and Rebecca Johnson as the calm, supportive ex-wife. All the players stand out in their own way though, particularly the hilarious servants with Martin Hancock as valet Fred and Sally Tatum as zany Swedish maid Miss Erikson both playing it for laughs - and getting many. An exquisite stage brings to life the glamour of pre-war London. In a cleverly weaved, satisfying storyline that has a nice tidy ending, Present Laughter is a sophisticated comedy that brings out the essence of Coward's style and words. This production could easily be transferred onto a successful West End run.